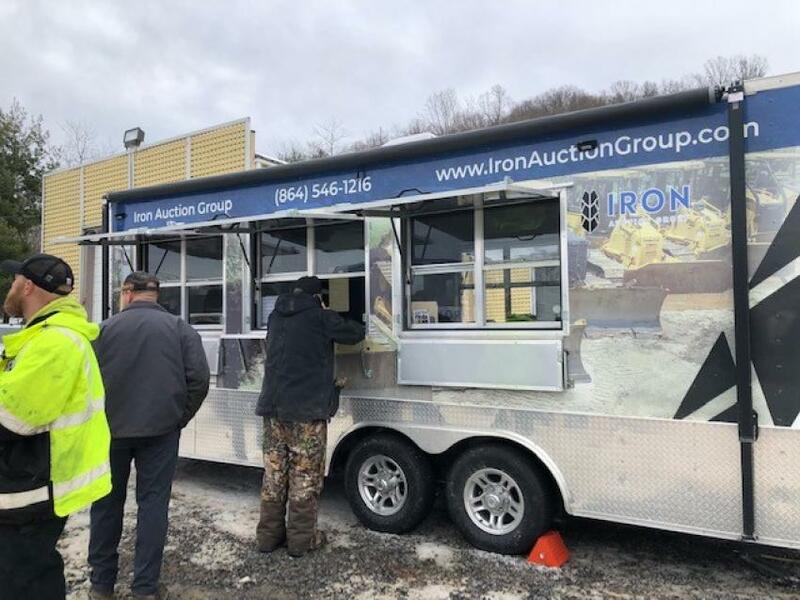 The snow didn't stop the crowds from attending Iron Auction Group's Dec. 12 absolute truck/equipment auction in Princeton, W. Va. Items on the block included excavators, skid steers, crawler dozers, cranes, trailers and dump trucks, among others. 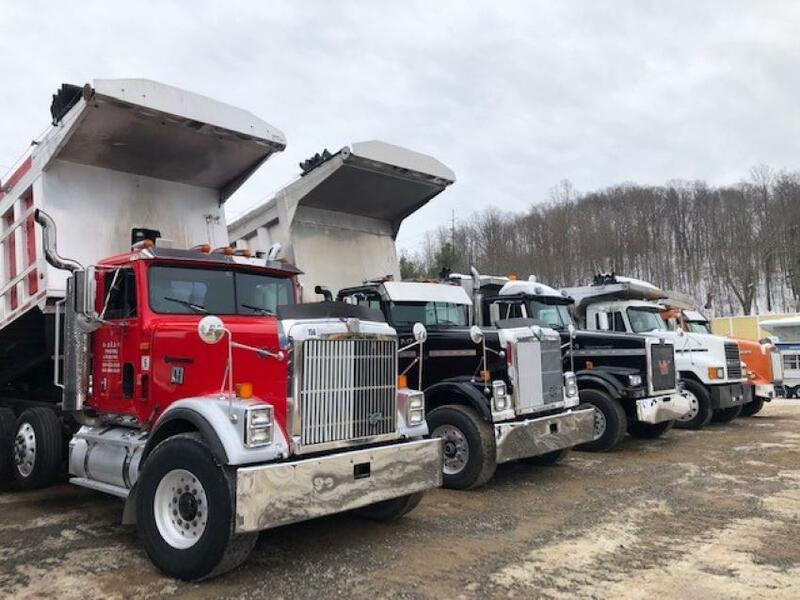 Various makes and models of dump trucks were up for bid. 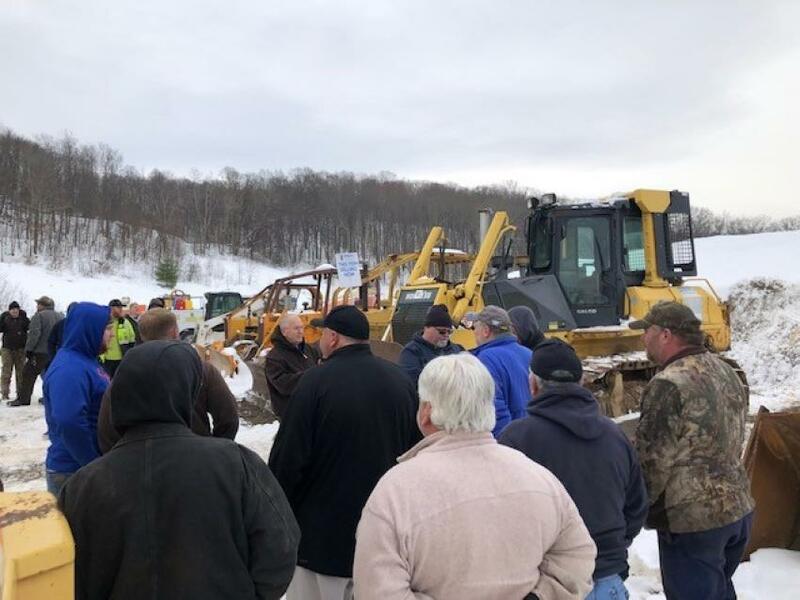 Bidders mill around a Komatsu D65EX-15 dozer. 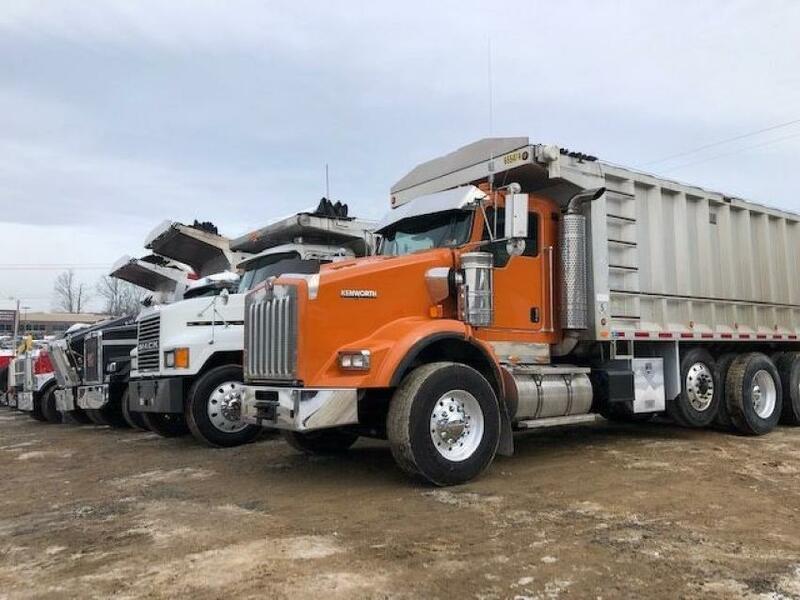 The auction featured a great lineup of quad axle dump trucks. 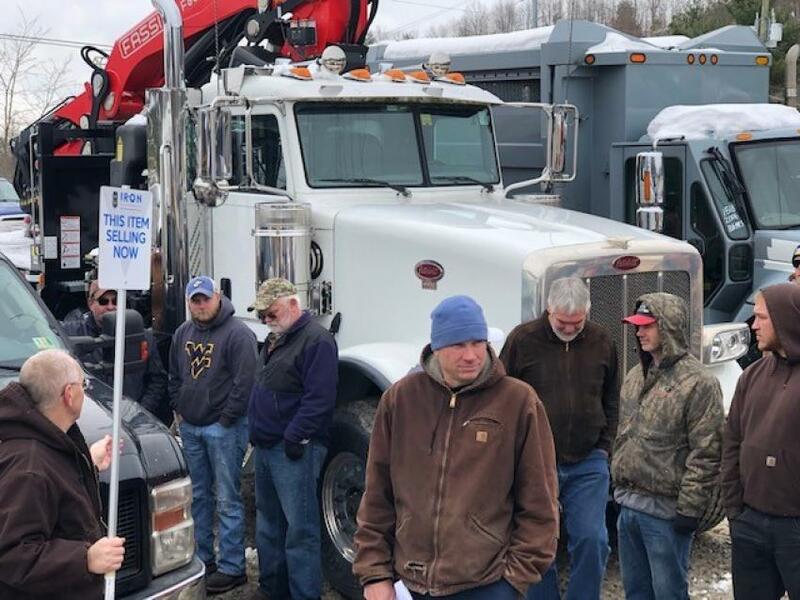 Buyers waited to bid on a Peterbilt truck crane. After the sale, buyers visited the IAG office.